I’m inviting you to join me for dinner at Vito’s. 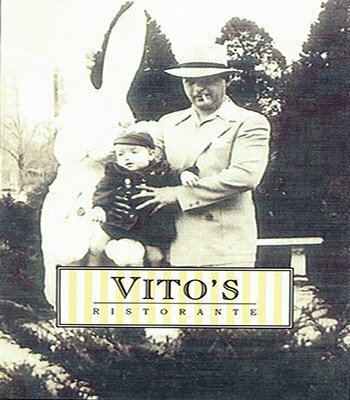 I opened Vito’s in 2004 with the hopes and dreams of bringing my wonderful Italian heritage to each and every one of you. All of my recipes have been in my family for generations. There was always an Italian restaurant in my family as long as i can remember. My mother Rosemarie, my aunts: Florence, Rose, Irene, Jen, Marie, Rosie, (yes, there were a lot of Rosemarie’s in my family), my grandmother Julia and Nanna Vi , all cooked in each other’s restaurants. My mom and dad’s restaurant was open for 36 years. I started working for them at age 12 where i was always stirring the sugo, (red sauce), chopping the garlic adding the fresh basil and learning their tricks. Did you know that after you peel and slice the eggplant, you soak it in salt water to take out the bitterness? Vito’s is a tribute to all of my family. Their pictures cover my walls. You’ll get to see uncle Vito, uncle Tony, my mom and dad, my grandparents, my uncle Mike, who was called the banana king of Kansas City and many more. 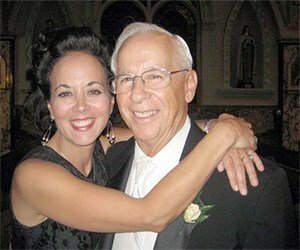 When you walk in my door, you are not just a customer; you’re part of my family. So, come by for dinner and I’ll introduce you to “the family”!